In the days before western medicine, local Indigenous Australians used the active ingredients in a plant known as old man’s weed (Centipeda cunninghamii) to sooth the symptoms of arthritis. They’d boil the leaves and prepare a solution that was applied externally, or drink it as a tea. Aboriginal writer, artist, mentor and consultant Kat Clarke learned about this and other bush remedies from her grandmothers while growing up in Wotjobaluk country in Victoria’s western district. 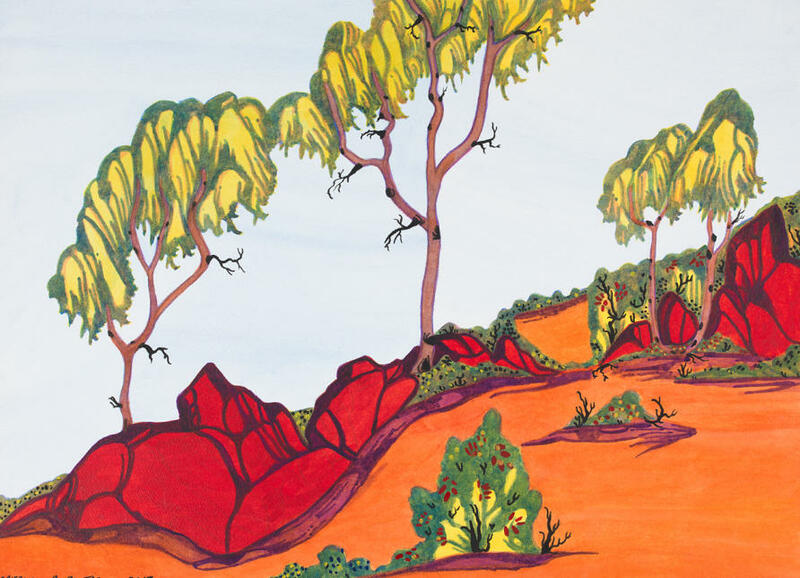 Bush medicine in Jay Creek, NT by Mervyn Rubuntja, MHM2018.11, Medical History Museum. Picture and text: Copyright the artist and Ngurratjuta Iltja Ntjarra/ Used with permission. “You can boil it and you can drink it and it’s good for your whole immune system,” she explains. Ms Clarke lived in Ballarat and frequently visited the Wimmera, where she was taught about the history of bush medicine and how select young people were trained to practice it and pass the knowledge on. Her late paternal nan, Shirley, was a bush nurse and her maternal nan, Judy, introduced the young Kat and her brother Dylan to tree sap as a semi-sweet treat that made a good chewing gum substitute and a binding agent for wounds. “If you boil it, it’s a good plaster,” Ms Clarke says. Each Australian region has its own plants and uses, which are showcased in a major exhibition that Ms Clarke contributed to. 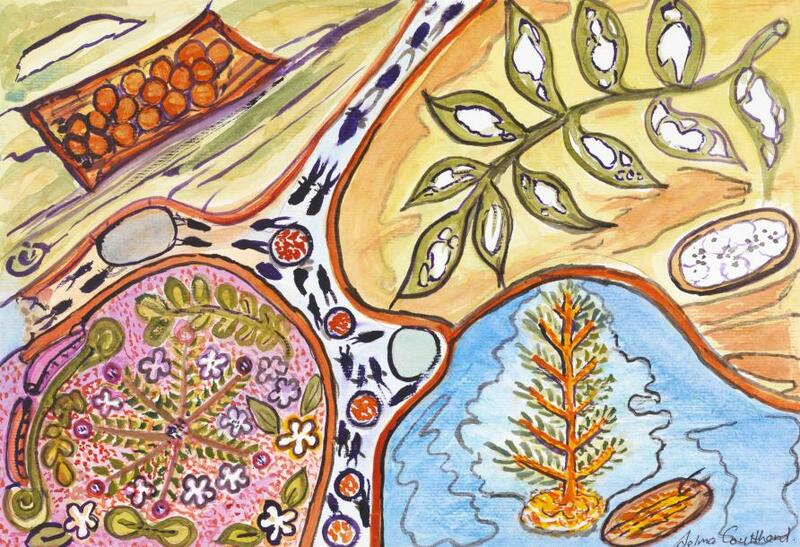 The art of healing: Australian Indigenous bush medicine officially opens on 15 May at the University of Melbourne’s Medical History Museum until the 29 September. 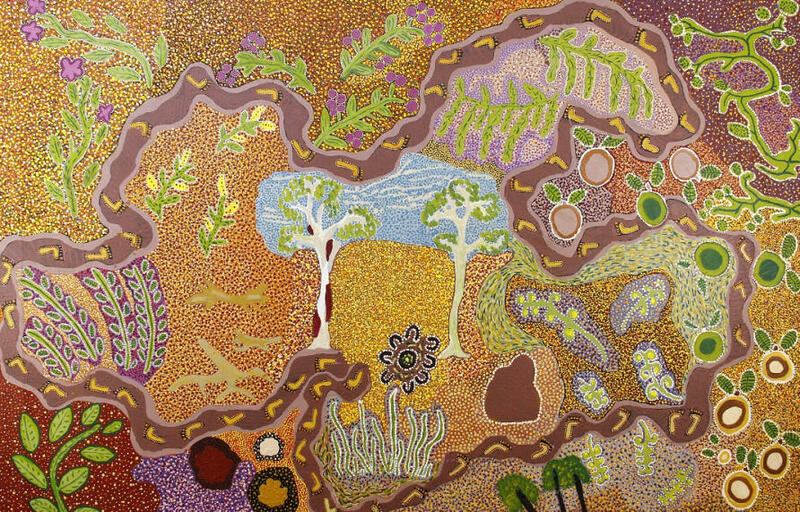 Now an Indigenous Student Support Officer in the University of Melbourne’s Faculty of Medicine, Dentistry and Health Sciences Learning and Teaching Unit, Ms Clarke produced five paintings. They depict gum trees (Eucalyptus), bracken fern (Pteridium esculentum), Australian blackwood (Acacia melanoxylon), kangaroo apple (Solanum aviculare) and old man’s weed. Each work is accompanied by an explanation of the plant’s uses. Ms Clarke says some of these traditional remedies have been studied and incorporated into modern medicine. An example is the kangaroo apple, which has ingredients that act as a female contraceptive. Women who did not want to get pregnant drank a potion derived from the boiled, unripe fruit. Eucalyptus leaves were boiled to create an oil to treat bruises and cuts, or infused and inhaled to help alleviate symptoms of asthma, body aches, chills and fever. The treated bark soothed inflamed limbs. Ms Clarke says such remedies are still used in Aboriginal communities, which over many generations have learned which plants are nutritious and have health properties, but also which ones are toxic. “Our education was a mixture of western education during the school terms, and every holiday was cultural learnings and practices taught to my cousin and me by many of the uncles and aunties who were around at the time,” she says. The Art of Healing aims to ensure that native bush remedies are celebrated for generations to come. Following the premise of Tjukurpa (Dreaming), it investigates traditional Indigenous healing practice as simultaneously past, present and future. 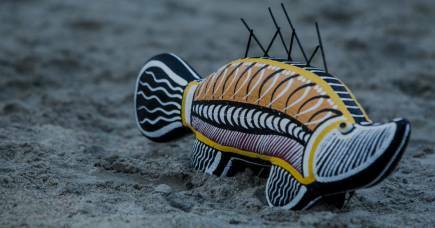 Through contemporary art and objects, examples of healing practice and bush medicine are presented from many distinct and varied Indigenous communities across Australia. Dr Jacqueline Healy, University of Melbourne Medical History Museum and Henry Forman Atkinson Dental Museum senior curator, spent several years preparing the exhibition with help from Indigenous communities nationally. “For 65,000 years, Aboriginal and Torres Strait Islander peoples have occupied the lands, with distinct cultural boundaries defined by intimate relationships with Country,” Dr Healy says. “All works are linked by the strong connection of Aboriginal and Torres Strait Islander peoples to Country, and the passing down of cultural knowledge to the next generation. Some of the artworks were directly commissioned and others are from existing projects. Artists were asked to represent healing practice and bush medicine in their Country. They used a range of techniques and media, including painting in ochre and acrylic, printmaking, weaving and ceramics. In an essay for the exhibition, Ms Clarke explains the Koori Nation’s use of Victorian plants that were key sources of food, medicine, fibre and building materials. Many are working hard to ensure this knowledge continues to be passed on. “Ailments, injuries, and other health related symptoms would be treated by the women of the group,” Ms Clarke writes. Pre-colonial Australia: natural wilderness or gentleman's park? 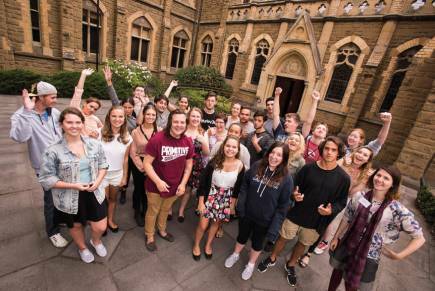 Ms Clarke says a small number of Koori medicine women and men still exist in Victoria. “Access to this knowledge has been diminished through loss of language, fractured community, restricted access to traditional land and other western impacts,” she says. University of Melbourne Associate Dean (Indigenous) Professor Sandra Eades will open The Art of Healing: Australian Indigenous bush medicine on Tuesday, 15 May at the University of Melbourne’s Medical History Museum from 6-8pm. Banner image: Gukwonderuk (Wotjobaluk) or Old Man’s Weed (Centipeda cunninghamii) by Kathrine ‘Kat’ Clarke, MHM2018.22, Medical History Museum. Picture: Copyright the artist/ Used with permission. 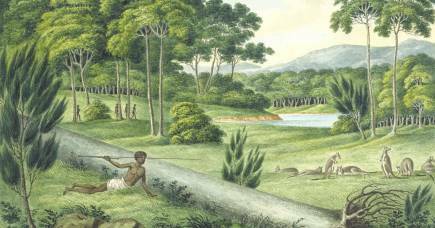 Pre-colonial Australia: natural wilderness or gentleman’s park?